These days, medical spas are gaining ground like there's no tomorrow. Everywhere you look, there's a medical spa vying for the attention of people who are take extra care of their bodies and faces. A medical spa, for all intents and purposes, is like a skincare center - you go there for skin, face, and body treatments, as well as to get all the pampering you need. 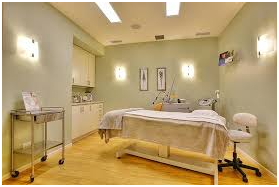 Generally, a medical spa is a haven for those who want a wellness treatment. With the increasing popularity of medical spas, it is not surprising that a person might want to go to a beautician school to learn the many treatments and procedures usually performed in medical spas. Learning the tricks of the trade can be done once the medical spa is in full swing, but knowing what needs to be done to set it off the ground can only be learned through a school. Once you finish the esthetician course and have a certificate and a license to put up your own medical spa, one of the first things you need to procure is the equipment. It is crucial for you to have the best medical spa equipment to provide the best results for your patients. Of course, you can have all your questions answered by the Internet concerning medical spa equipment. You would have no problem managing and operating a successful medical spa if you have the right equipment to offer different services, from practice-management services to skin rejuvenation systems. Read through to learn more about the equipment you'll need in your medical spa. Prior to treating and prescribing medications to skin, an imaging system detects, visualizes, and analyzes subsurface melanin and vascular skin conditions. This imaging system from the medical spa equipment has color-space processing that separates red and brown skin components. After analyzing the product of the imaging system, you may use the result to consult with your cosmetology patients and proceed with the treatment like laser therapy, chemical peel, acne treatment, and others. Medical spa equipment also has a device that is used for connective tissue to treat lymphedemas, scars, and burns. Other countries make use of this device for cellulite and skin treatments. This same tool is used to stimulate fat metabolism and eliminate fat accumulation in adipose tissue. For liposuction, medical spa has laser -assisted system that performs lipolysis or body sculpting. This procedure disrupts fat cells and causes coagulation of the tissue to tighten skin. This medical spa equipment uses small cannula or tube that contains laser fiber, which is inserted to the skin and passed throughout the treatment area. The energy that is emitted by the laser is applied directly to the cells causing them to rupture and drain away. For personal care treatments like skin rejuvenation, sun-damage, permanent hair reduction, leg and facial vein reduction, and acne treatments, medical spa equipment have pulsed-light device to treat these kinds of condition. There is also medical spa equipment capable for non-invasive, hydrating skin that also exfoliates dead skin cells and extracts impurities with vacuum-based skin-abrasion tip. The active serum that is delivered is used to clean, hydrate, exfoliate, and provide residual anti-oxidant protection. A medical spa uses many equipment to provide the best services available combined with the skill of the esthetic specialist to come up with the best results for patients.